A balanced Solar Plexus empowers you to honor yourself and your intuition. 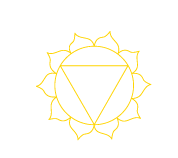 The Solar Plexus Chakra is the source of our Life Force and through setting boundaries it allows your soul to emerge true to who you are. Learn more about Chakra energy balancing. Asking questions is a great way to assert your personal power! By asking questions you are being responsible for your inner desire to know and you are also being assertive and courageous! How many times were we discouraged from asking questions in our lives! It’s not only a sign of intelligence but also a sign of an inner desire to know. Questions about alternative therapy are no different. Congratulations on all of the above! I’m sure you may have even more questions than those that are listed below. Feel free if your questions are not answered below to contact me and ask me whatever alternative therapy questions you may have. I love questions. Kathryn Hill provides live Wisconsin life coaching services and emotional energy healing in Milwaukee, Racine, Pewaukee, Madison, and Waukesha. Call 262-442-4226 to set up remote Wisconsin alternative therapy services via phone or Skype. Is there anything I need to do after an alternative therapy session? If I removed a trapped emotion that is inherited from one of my parents does it remove it from them? How many trapped emotions do I have? How will I feel after an energy healer helps me remove a trapped emotion? Will alternative therapy work if I don’t believe it? How do you find a trapped emotion? What happens once you find a trapped emotion? Will the emotion come back? How many trapped emotions can be removed in one energy healing session? A: We are all beings of pure energy. We have all had times where we have experienced intense emotions of sadness, resentment, frustration, unworthiness, etc. Every emotion carries a specific vibrational energy and frequency. During those times your while body takes on those vibrations and can get stuck within your body. Even after the event is over part of it stays with you creating a ball of energy. This ball of energy is called a trapped emotion. Trapped emotions distort the normal energy field of your body and because that’s all your body is, is an energy field, when you distort this energy field you interfere with the bodies ability to function normally, which can cause pain and malfunction of organs and glands. As these trapped emotions pile up, as they have been doing since birth, they start to reek havoc on your body through minor things such as aches, pains, muscle tension, acne, acid reflux and eventually to more serious problems such as autoimmune diseases, diabetes and even cancer. When you have a trapped emotion in the body (fear, panic, abandonment) your body is carrying around this emotion and literally feeling it all the time, 24/7, seven days a week, 365 days a year, non-stop. So when a situation arises, maybe a spouse tells you they are going away for a week, the emotion of fear and abandonment will slide right into your energy field much easier, and more intense, than if your energy was cleared of all your past trapped emotions. Once you remove a trapped emotion, often times it literally changes how you feel; it changes the way you react to certain situations, people and events and a sense of calmness takes place. These trapped emotions are contributing to problems like depression, anxiety, panic attacks, eating disorders, phobias, heart blocks, fear of commitment and self-sabotages of all kinds as well as being a primary cause to PTSD. These contribute to the high rate of divorce, the strife and anxiety on a larger level that happens to the world as a whole. Getting rid of these emotions are such an important thing to do not only for you but also for the world as a whole. It starts with you! Q:Is there anything I need to do after an alternative therapy session? Q:If I removed a trapped emotion that is inherited from one of my parents does it remove it from them? A: Yes, if you remove a trapped emotion that is inherited from your mom, for instance, it removed it from her and from anyone else that she may have inherited it from. It doesn’t remove it from your children or from brothers or sisters. It is only removed vertically upward. When you remove a trapped emotion that is from your own personal experience, you move the magnet over your governing meridian three times. If you are removing an inherited trapped emotion, you run the magnet over your governing meridian ten times. Q:How many trapped emotions do I have? A: Every person is unique, and the trapped emotions come up when your subconscious mind is ready to have them removed. We not only have trapped emotions that we have experience during our lifetimes, but we can also have inherited trapped emotions from our parents. When the zygote is formed it received DNA from both the father and mother, it also receives the energy of trapped emotions that the father and mother have. This explains why sometimes you may have a certain feeling that you can’t figure out. It could be an inherited trapped emotion. I have removed 100 trapped emotions from the glands and sexual organs of a man that was sexually abused when he was 4 years old. Sometimes when we have a horrific experience we develop a weak area in the location of that emotion and many trapped emotions get trapped there. This gentleman was having problems with his prostate and with sexual dysfunction and now he doesn’t get up in the middle of the night to urinate and he no longer experiences sexual dysfunction. Q: How will I feel after an energy healer helps me remove a trapped emotion? Q:Will alternative therapy work if I don’t believe it? A: If you study the pages of my website, you will see the various chakras outlined and an explanation of each chakra. Chakras are energy centers that are either open or closed. If they are closed, then no vital energy is active in that area. The upper chakras are all about embracing truth. I would suggest that if you don’t believe it can work, that you educate yourself in the area of energy and Eastern medicine. Acupuncture is a widely accepted modality for healing and it works on the same principles that I use for removing trapped emotions. It’s a process of opening up your energy to understand that there are other ways of healing your body than those you may have been exposed to in your life. By expanding your understanding, you will be opening up the energy portals in your body, thus enabling the effectiveness of the work I do. You do limit the results of this work if you are not open to receive it. Q:How do you find a trapped emotion? A: The trapped emotion rests on the organ that is related to that emotion. Almost always they are within the body cavity and only your subconscious mind is aware of them. I work with a pendulum and I use a sample of your hair, or if that’s not available, I just need your Name, Address and Birthdate, and using that I can read your energy. During the session I am able to identify a trapped emotion, from a grid that I use of 60 emotions that encompass all of the emotions on a certain level, and the approximate year that you experienced it. Your work is recalling to your memory what happened to cause the emotion that is trapped. You don’t even need to say the experience out loud, you can just think it, and I can let you know if the event you are remembering is the event that caused the trapped emotion. That’s one of the beauties of this work, is that it can remain as private as you choose for it to be. Q:What happens once you find a trapped emotion? A: Once you remember the emotion and how it occurred, the ball of energy moves from within your body into the energy field outside your body. Once this occurs, you are able to remove the trapped emotion (ball of energy) by running a magnet down your governing meridian. The Governing meridian runs from the top of your upper lip up across the center of your head and down the center of your back to your tailbone. If you are not able to run a magnet down the center of your back you can run the magnet from in between your eyebrows over the center of your head to as far down your back as you can reach. By running the magnet over the governing meridian in this way, you completely break up the ball of energy that has been released from inside your body and you are forever freed from that trapped negative emotion and the effects that it was causing on your body. Q:Will the emotion come back? A: No, once you remove a trapped emotion, it will never return. Q:How many trapped emotions can be removed in one energy healing session? A: Usually I can remove about 5 or 6 trapped emotions in a session. Sometimes I can remove more. The body can only remove so many trapped emotions at a time, because it takes time for the body to realign itself and for the energy body to come into alignment.